This posting discusses Blaze DVD Pro v5.1 that act to play the video files from formats DVD, VCD, rmvb and so on. Following a brief description, advantages and features of this software. 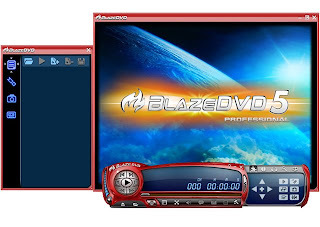 Blaze DVD is a full-featured and easy to use DVD, Video CD, Audio-CD and media file player. It is stable, simple and superior in quality and can meet all demand on DVD playing. In addition to the common features of a home DVD player. Blaze DVD can provide superior video and audio (Dolby) quality, together with other enhanced functions: e.g. record DVD, optional skins, playback image and DV, image capture and bookmark, etc. Furthermore, it supports DIVX, MPEG4, RM, QuickTime, WMV, WMV-HD, MacroMedia Flash and popular media formats of Internet. You can enjoy watching DVD in your notebook PC during travel, or use DVD as a tool to assist your child with study on a computer, or watch DVD movies in a desktop computer. Hey Rychan thanks for your info, i d like you to visit my blog.